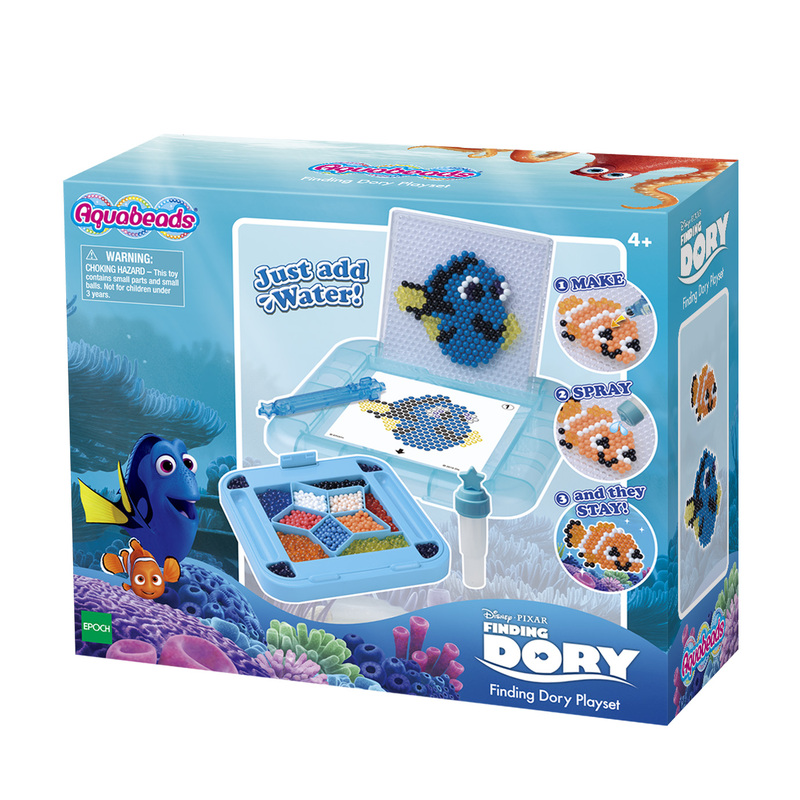 This week we've been creating our very own little Dory's and Nemo's with our newest Aquabeads set: Finding Dory. We loved the film and the fishes and loved creating our own. 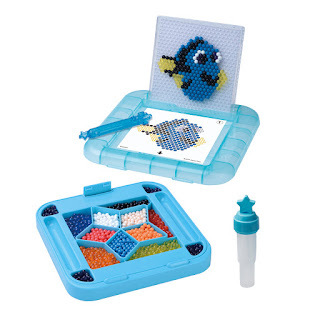 Aquabeads are these cool little beads that stick together when you cover them in water to create amazing little shapes and characters. We've reviewed several of their sets over the past few years but this Finding Dory set has to be one of our favorites, it's just so cute. You get lots of beads in this set, enough to make at least two of the characters, depending on which one's that you choose. We made a Dory and a Nemo and still had a few left over. Inside the box you get a great little bead holder which keeps all your beads neatly packed away for when they're not in use and also organised by coloured beads when they are. It's a great compact case which makes the set easy to carry with you when ever you're on the go. The set comes with three cards giving you the choice of three characters from the movie to create. The hardest part is deciding which one you're going to create first. Once you've decided, you pop the template into the holder and start adding your beads. The templates are all colour coded you just pop the right coloured bead onto the matching spot. Once you've added all the beads, you then just spray them with water using the little water sprayer which is included. You then leave them to dry for an hour and that's it! All done. 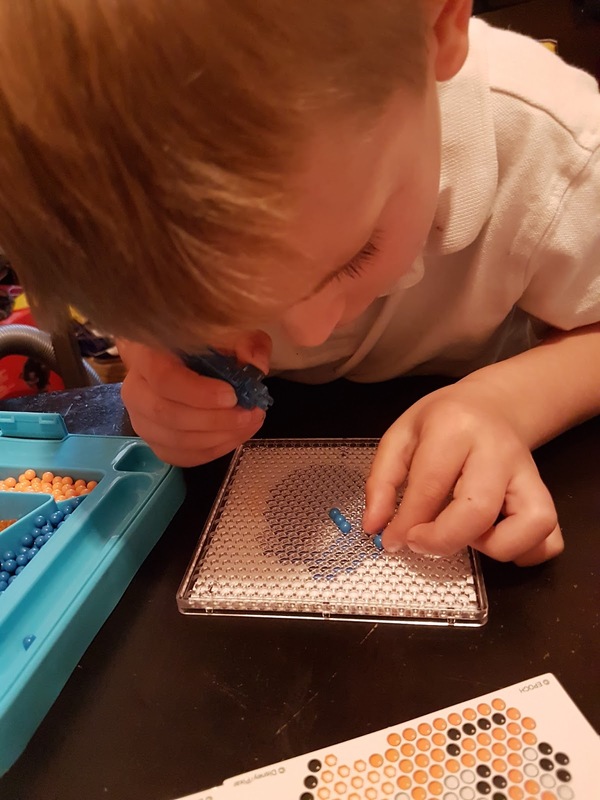 Aquabeads are great and so easy to use, Ryan loves playing with them. 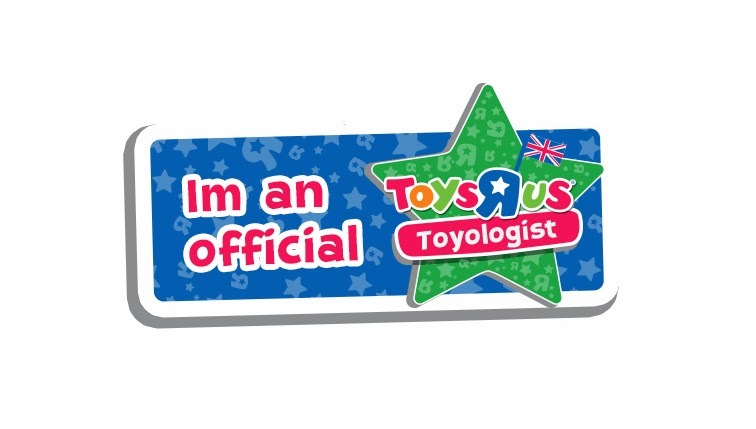 I must admit I quite like having a go myself too. I mean, who doesn't like Finding Dory? She's just so cute. The Aqusbeads are quite small but they're perfectly safe. 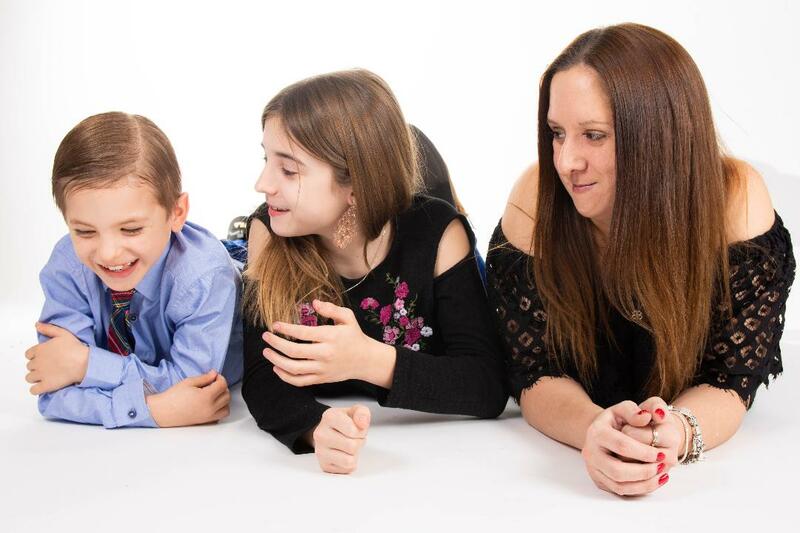 I love the way they help Ryan with his Hand, Eye Co-ordination skills. Placing those little beads in the right places takes a whole lot of concentration, it's a great way to get them to sit still. 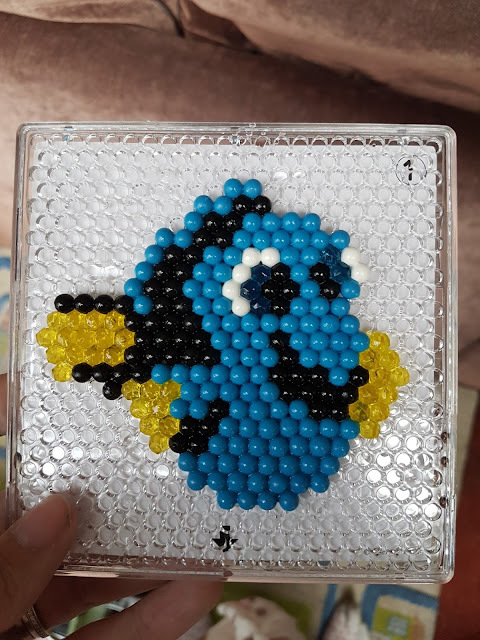 Just look at our finished Dory, she's so cool. Ryan can't wait to take it into school next week to show all his friends. We love Aquabeads here, each set brings a whole new wold of possibilities and fun. 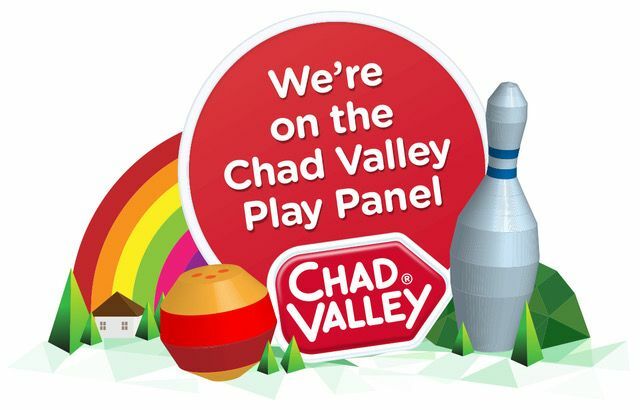 I wonder what set we will play with next? Disclosure: We received our Aquabeads sample for free in return for an honest review.